Spring crafting is a real favorite of mine. At this time of year it is still cool enough for me to spend more time indoors making things but yet there is the definite promise of warmer days ahead to look forward to. In this season, with most of the major occasions out of the way, there's more time to actually enjoy arts and crafts rather than having to create in a hurry as can be the case with other times of year. Most of the crafts I make are aimed at other adult crafters like me. I've included many fantastic tutorials on this page with the best picks from what people are making. There are all kinds of wonderful spring craft projects to inspire you and that you will want to have a go at. I recommend bookmarking this page so you can come back to it again during the whole of the season. This paper craft is ideal for the spring season and it is so easy. Many adults are put off paper folding projects because they think they are hard but I can promise you this is an ideal beginner project. Not only are paper flowers quick and easy to make but they also look great used on the font of handmade cards, in scrapbook layouts, as pretty gift tags, hung as decorations and more. I make a ton of these flowers every year. I have never got bored with making them and there are so many ways to personalize them with your own style. This detailed project page will show you how to make these paper flowers in detail and you get a free template that you can download and print for a quick way to make these designs. You'll see more images on the page too. Try making two of these folded flower designs and stick them back to back with a loop of ribbon or twine adhered between to make a sweet hanging decoration for the home or for an indoor spring tree. Farmer's Market paper rosette instructions. Even striped papers make a colorful paper hangup. Use thinner paper for whole circles and double sided thicker papers use only half circles. This step-by-step tutorial with photos and text instructions shows you how to turn a few bills of any dollar denomination into a pretty flower that makes money fun to give as a gift for any occasion. I enjoy so may crafts but one theme I never tire of is that of flowers because you can use these for so very many occasions where you may need a handmade card or gift. Making realistic looking blooms from paper is not all that easy and Origami Roses. Learn to make wedding bouquets and elegant candle centerpieces using gorgeous and inexpensive tulips. These instructions were designed to be easy by an award-winning professional floral designer. 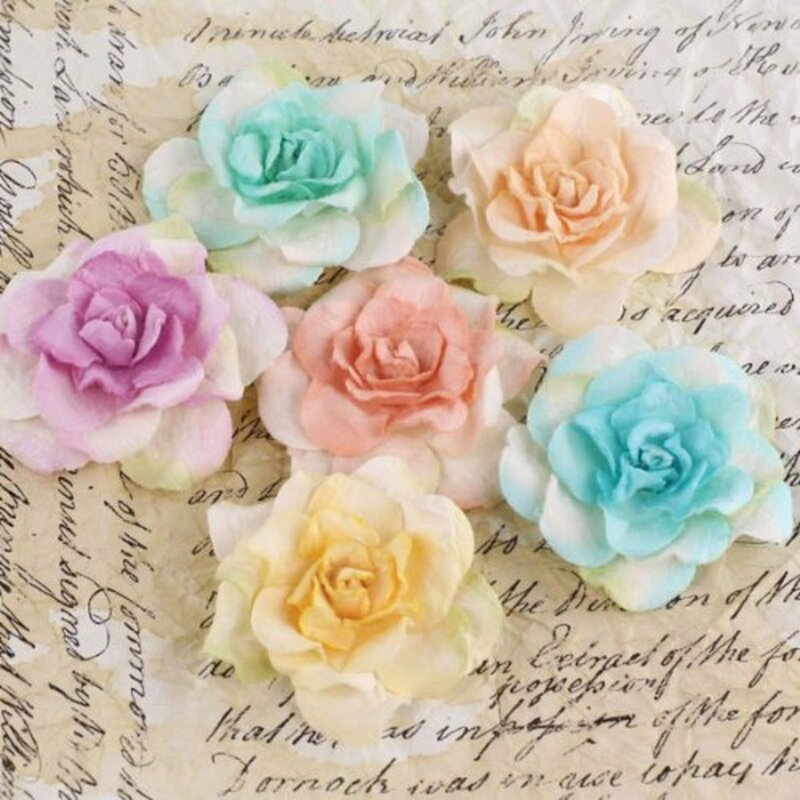 Beautiful paper flower embellishments can be used for a range of crafty projects. 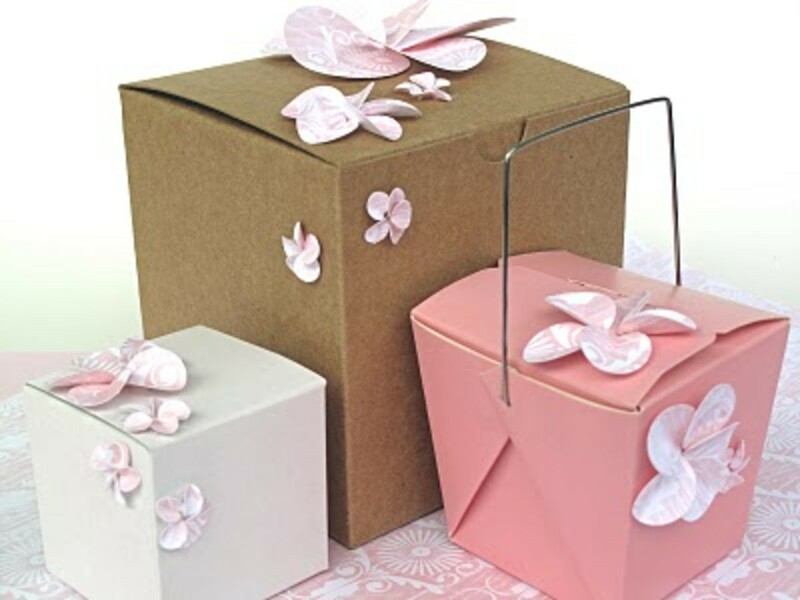 Paper crafting is a favorite of mine and there are some simply beautiful floral items that can help to bring some seasonal flair into whatever you choose to make. Scrapbook papers can be used for so many things. I love the fact that all the papers match up which makes them so easy to use and they are often beautiful for embellishing cards too. 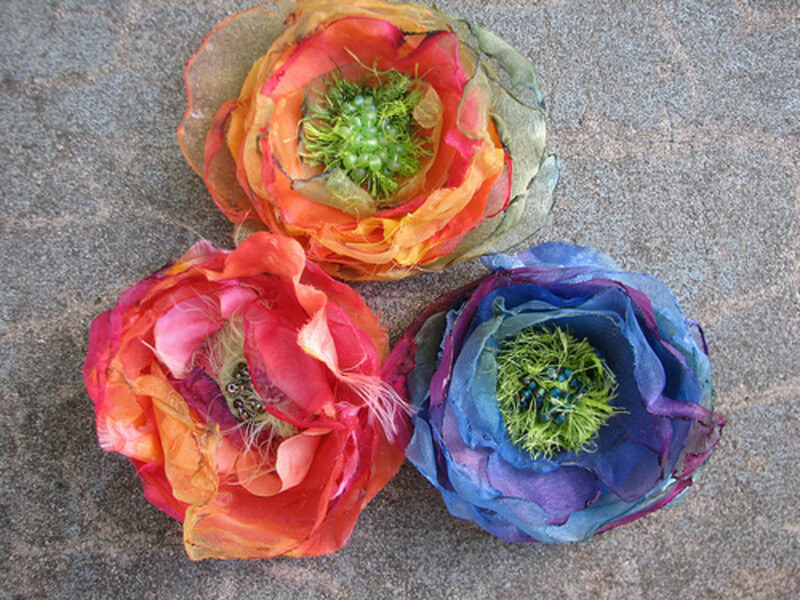 You can also make your own flower paper designs using colored tissue papers or a flower craft punch. Punch out lots of the same design and layer them all together with a brad or fastener in the middle. Instructions on how you can make a large sized crocheted flower design for embellishments to use on your handmade cards, crafts, cushions and garments. Crochet floral designs for fun. Save money by making your own beautiful floral arrangements. Here's how I re-created a country French arrangement after seeing it in furniture stores. The short video below describes how you can quickly make a 3-D Wet Felted Flower with just a few Merino Wool fibers The steps are so simple that even a child could be taught how to make one. The brightest, loveliest summery sunflower quotations, sayings and sentiments to make your day a cheerful and happy one. Great to add to add to your cards and crafts. Make a lovely floral decoration for your home by adding paper leaves and tissue paper blossoms to a natural branch. Easy to adapt for various holidays, this flower project is great for children, too! Sentiments, quotations and sayings based on the beautiful rose flower plant. Roses have inspired art and literature for centuries. You can use these words for your scrapbook pages, cards and more. 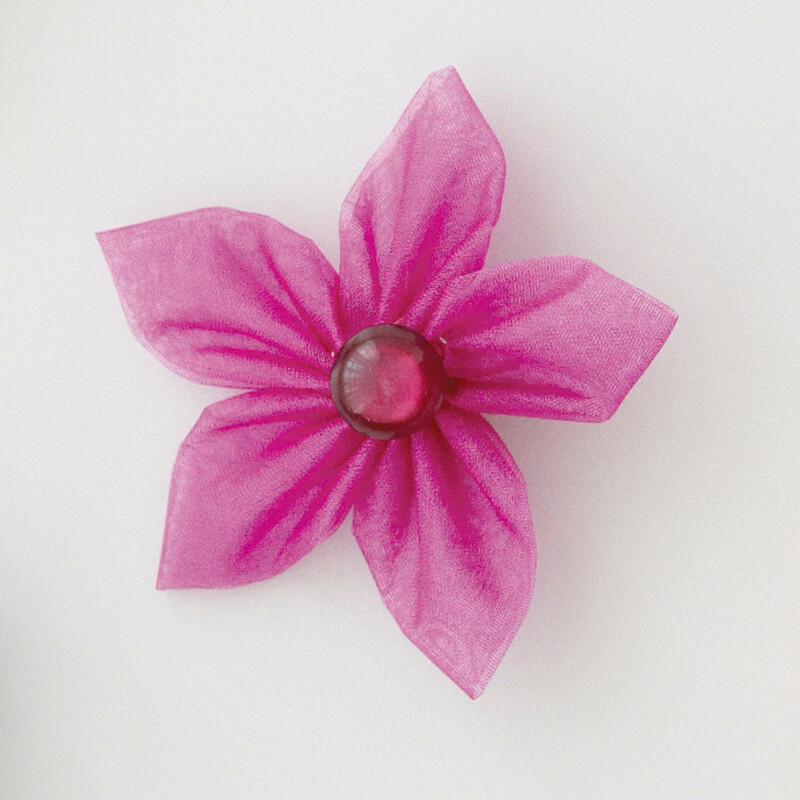 Use a Clover Kanzashi flower maker to create your own embellishments like this one. 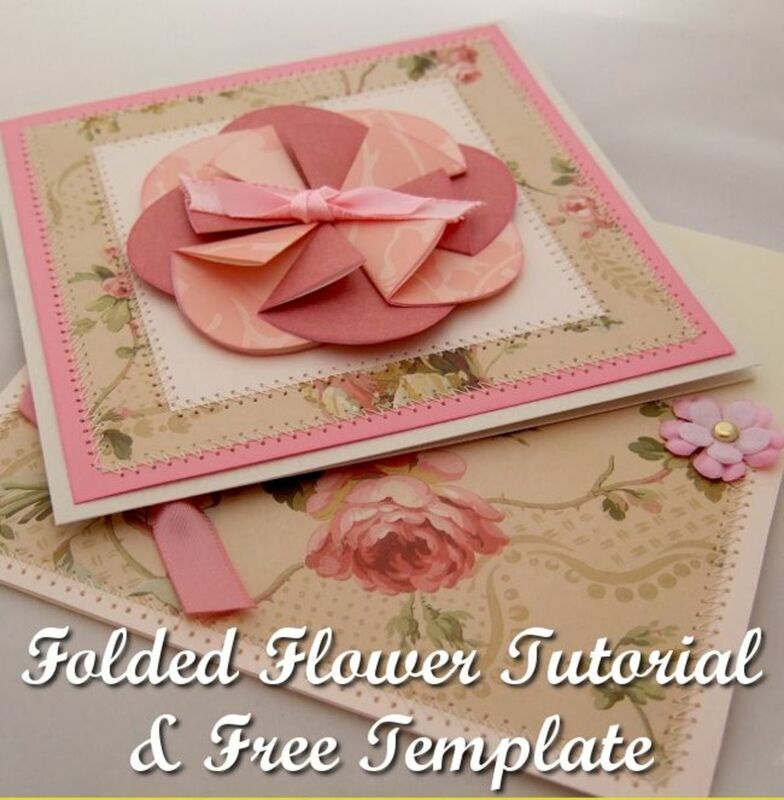 There are tons of great kits you can use for floral themed arts and crafts. Quilling with strips of colored paper is an ideal choice that lends itself well to making flowers of all kinds and you can make beautiful quilled cards and framed pictures to enjoy. I'm used to making my own cross stitch designs and you could quickly make some bookmarks using this craft. How about making fabric flowers using a Kanzashi maker - these look like a lot of fun and something I'd love to have a go at myself. Clover make a whole range of different fabric flower makers which help you to create your own embellishments. This one has pointed petals but you can get loads of different designs. A paper rosette with big or small impact. Nine different craft ideas included with this tutorial. Instead of the eight piece rosette: fashion the fold into a Holiday tree, as well. Fun for all ages. What Type of Flower Crafting Do You Like? I'm Super Crafty so ALL of the above! I'm a backyard bird watcher and I'm always inspired to make things with birds as a theme. Birds at springtime are fun to watch and listen to because this is the time more than any other when they are singing with so much gusto to attract a mate. They are busy building nests to prepare for their young ones. So this is really the season of birds. The free template provided is for a rather whimsical bird design with a heart shaped wing. 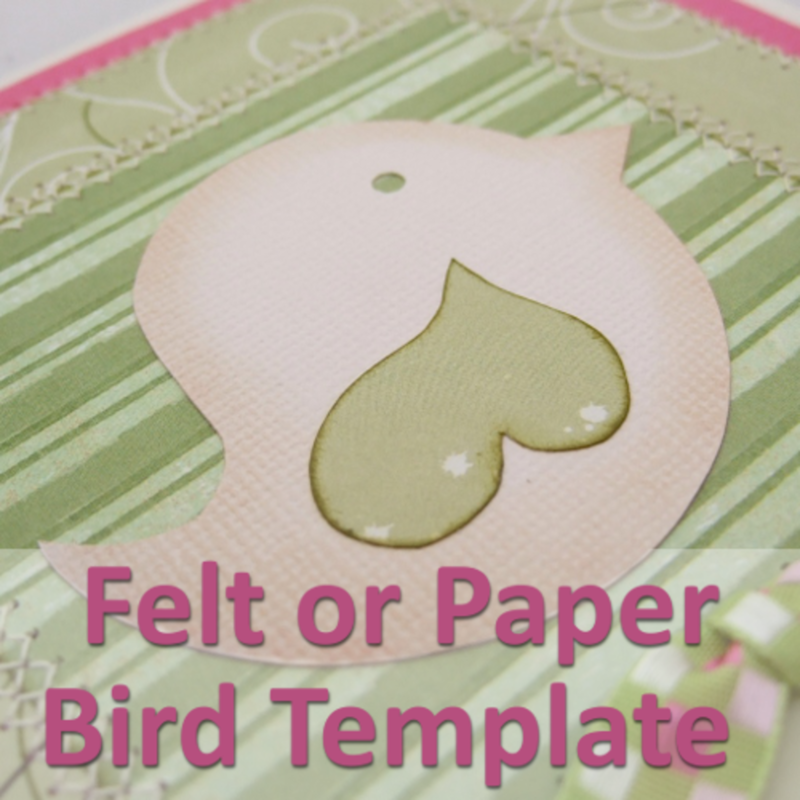 This is the same template that I use to make handmade card embellishments as well as stuffed felt designs too. You can use it as an applique template if enlarged to make motifs for pillows or blankets, use it to trace a motif to embroider, for scrapbook embellishments and for painting. 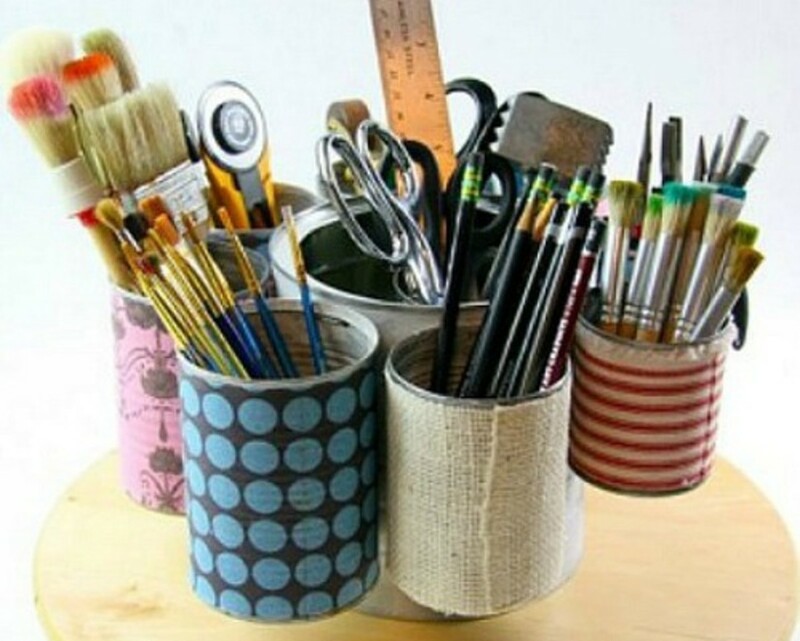 I can bet there is a craft you enjoy that this could be used with and I'd love to see what you make. Machine stitching on paper is fun and adds a new level of texture and detail into a completed project. I like to use variations on zig zag stitches around borders. Just make sure to keep a set of needles specifically for paper stitching because these blunt quicker than ones used for fabric. So best to keep them separate. Banners and garlands are a great way to add splashes of color and style across blank walls or to decorate quickly for indoor or outdoor parties and events. This felt and fabric banner design was made for my daughter's playroom which was looking really bland. Now she loves taking her friends into her bright and cheerful looking room to play. This is a fairly easy make. I really don't like crafts that are too fiddly and time consuming. The hardest part was actually fixing the finished flag sections onto the ribbon but I explain how you can do this faster than I did in the actual tutorial. 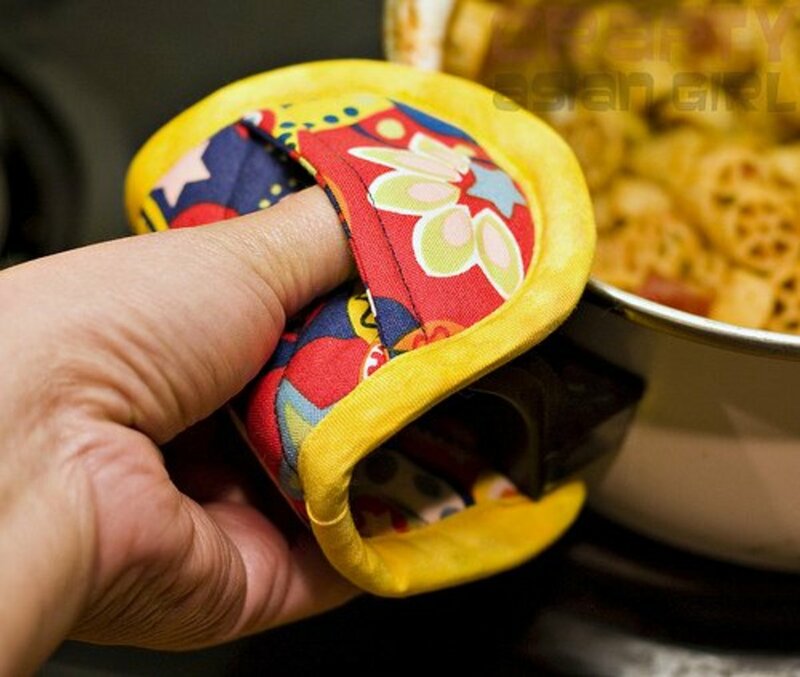 You can even get away without sewing if you just want to stick to using felt and glue. However, I really liked the combination of adding patterned fabrics in and the zig-zag machine stitching which pulls it all together. 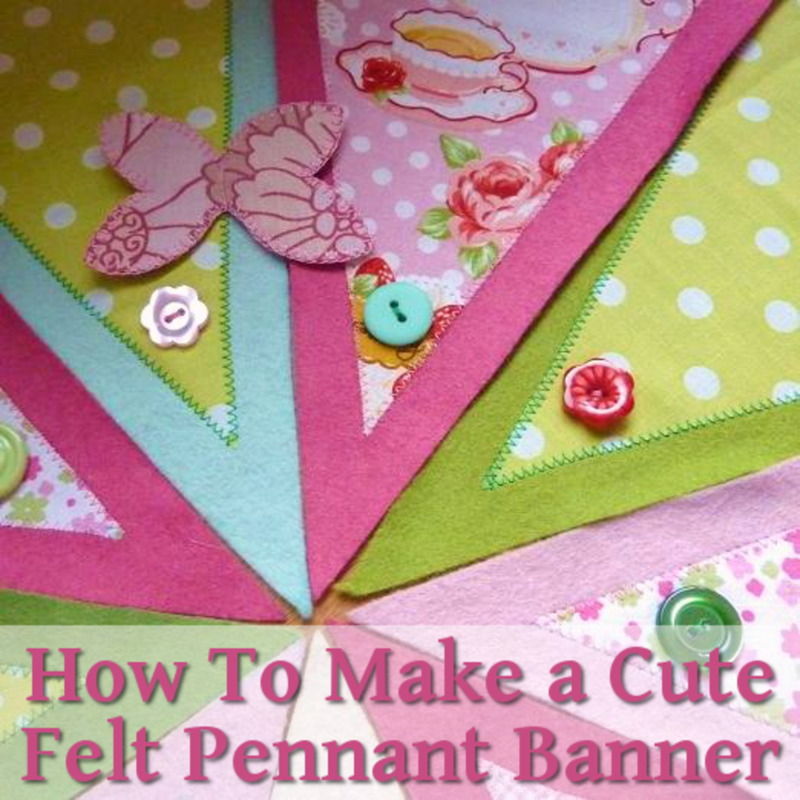 Adding on buttons or other cute embellishments to the flags of your banner will stop the whole design from looking too flat. Buttons are ideal because they are quick to sew on and add in a fun pop of color and texture. Step-by-step guide to sewing beautiful yet simple wings that can be worn and enjoyed by all ages. Includes an intermediate design and a simplified design. Fairy wings, or any style of costume wings, can be as easy or detailed as you wish to make them. Learn how to design and craft your own custom wings for any type of cosplay or special occasion. How To Make a Wooden Fairy Door. Fairy doors tutorial with step by step instructions. 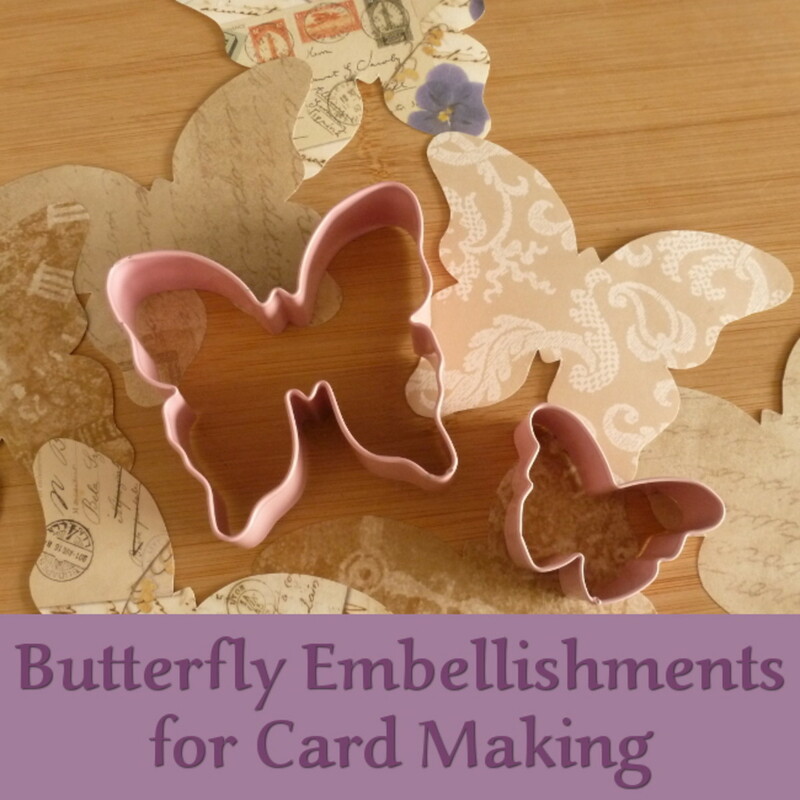 Making your own beautiful butterfly embellishments and decorations from paper can be easier than you think. Included are tips on creating DIY hand crafted versions for cards and crafts at home. In need of a little magic in your daily life? This illustrated tutorial and tips/resources from around the web will help you design and create your own fairy dust necklace. Does anything smack of spring quite so much as butterflies do? Butterflies are so much fun to watch as they flit and flutter from flower to flower and they can be really hard to get great photos of too, except when they stop for a rest somewhere. I love the idea of making a butterfly stepping stone or two for the garden as a permanent feature to add a pop of color into the back yard. I'm not a natural baker and I also don't like to spend hours in a kitchen so whatever projects I do are never ridiculously hard. 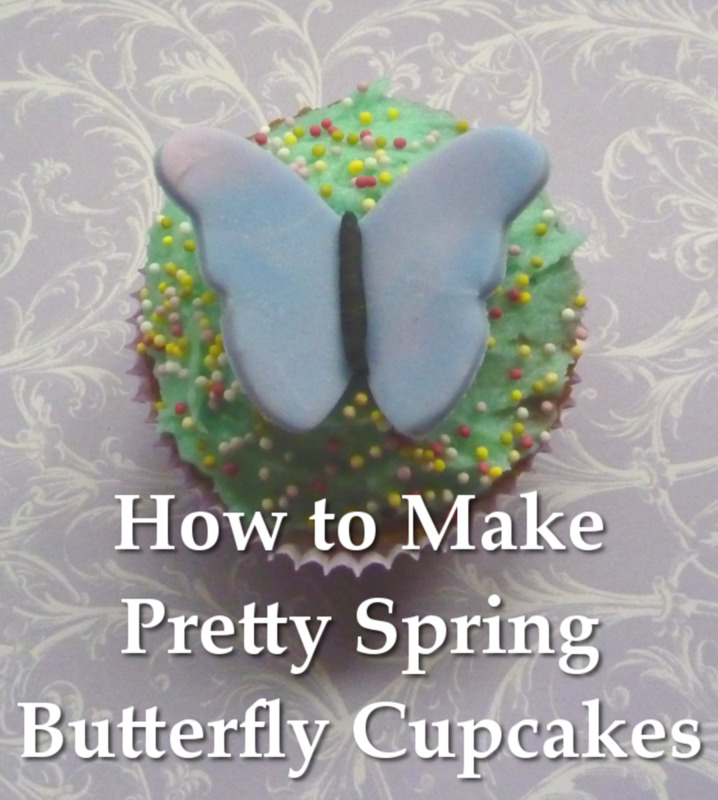 These butterfly cupcakes can be as easy or hard as you choose. If you want to make this project really easy, then just go out and buy some pre-made cupcakes and make the butterfly decorations for the top. It's not cheating at all. The beauty of making your own cupcakes is that you can choose exactly the look that you're wanting and pick colors of icing to suit. I'm really terrible at icing so this frosting was put on with a spatula, how easy is that. Making the butterflies for the top is really fun and I challenge you not to enjoy that part. 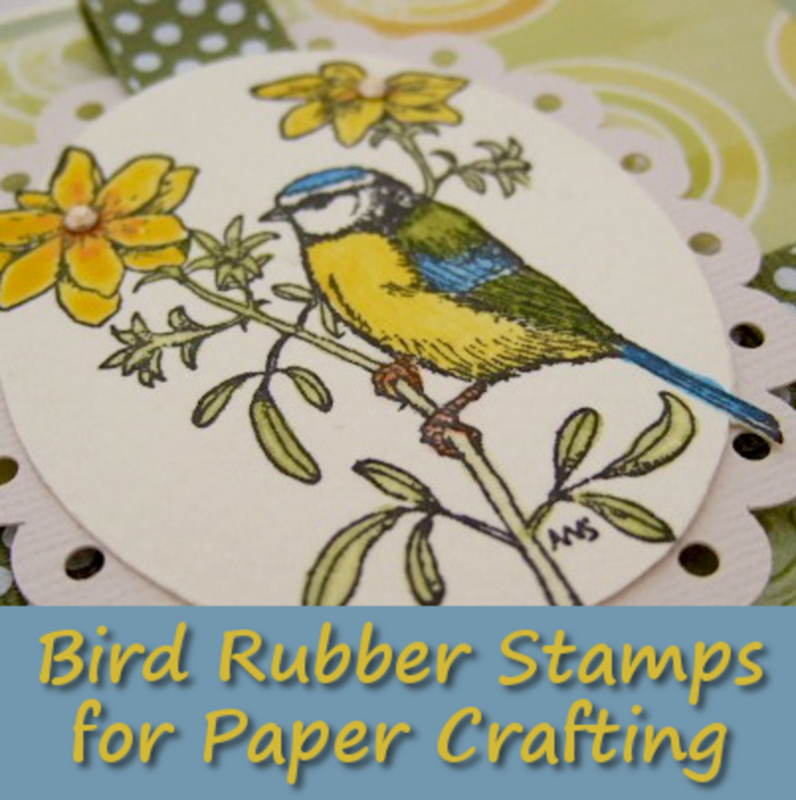 If you love watching birds as I do, consider buying rubber stamp designs of your favorite birds to enjoy for years to come. A good rubber stamp will last for a very long time. I've had this one above for over 10 years and I'm still using it and enjoying it and am always finding different ways to apply it to craft projects. Although I mostly use them for handmade greeting cards, you can use stamps to decorate tags, stationery, wrapping paper, gift boxes, scrapbook layouts and even fabric with the right ink. Birds make beautiful designs for spring and you can choose from realistic versions or more whimsical ones as you prefer. Stamps can be colored in so many ways. For realistic bird designs, I love to use a good ink like StazOn over a smooth watercolor paper (Hot Press paper) and then paint with a tiny brush and quite thick watercolor paints. For a whimsical design try doing a wash of colors or making your own painted pattern, allowing to dry and then stamping over the top. Actually I use birds all round the year to craft with since they lend themselves well to all seasons. I like to make my own templates to draw around to create embellishments but it is easy now to pick up good bird punches or die cuts for a cutting machine. Stickers are an essential part of my stash and the ones you can get now are simply beautiful and ready adorned for you to use immediately which makes them quick and easy to work with. An easy wine cork craft that only requires a hot glue gun and wine corks. Wine bottle fountains really simple to make and can become the center of your garden. If you have a power source it's as easy as drilling a hole and plugging it in. I took longer to think out how I wanted my fountain than it took to put it together..
DIY sand cast concrete garden ornaments. How to make a leaf shaped bird bath garden art craft from lightweight acrylic concrete using a large leaf from your garden as a textured pattern mold. This season is the time to start jazzing up your outdoor space ready to enjoy it more during the summer. I'm not much of a gardener but I enjoy it because I like to watch the birds visit the feeders so I will be looking for ways to add to the back yard for a better view. I love the idea of adding in some pretty stepping stones, especially as a decorative path leading up to my birding area or even to a fairy garden and birdhouse projects are a favorite of mine. How To Create a Mosaic Design for a Table Top. Ceramic Tiles make an awesome table . 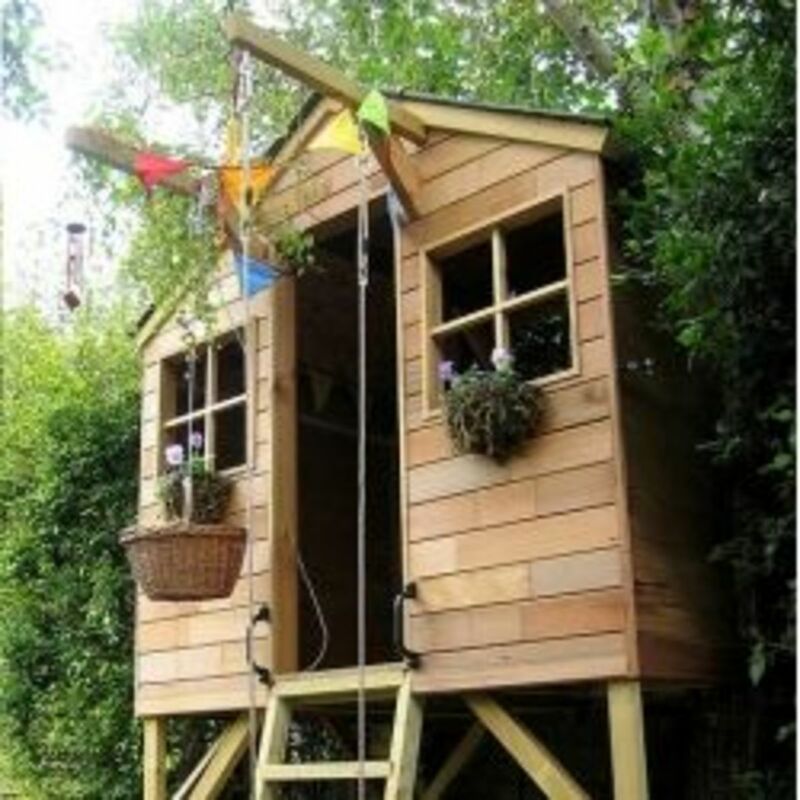 Welcome to my birds nests crafts page. I want to show you how easy it is to make really attractive birds nest decorations at any time of the year. So in this article I'm working my way through the seasons making birds nests and taking pictures as I..
DIY plans with step-by-step instructions, photos and diagrams for building a Ladybug House. Plus, lady bug facts and tips for attracting lady bugs into the garden. I never could stand looking at real butterfly collections, how could a mounted butterfly ever compare with watching a living one as it flits and flutters around the flowers. We can take lots of inspiration from these beautiful and colorful creatures and bring a little of spring into the home all year long by making some framed pictures like these. The frames were from my local dollar store and I wanted them not for photos but for pretty scrapbook paper and some embellishments that I had for sticking on the outside. There are so many different embellishments you could use for a project like this from stickers, fabric or paper versions, punched out card and you could even crochet your own. Using deep recessed glass in the frames makes it look as though the butterflies are flying free. And that's what appeals to me. Painting rocks to look like lady bugs is a fast and easy project for beginning painters. This is a great project for rainy days when the kids are bored. It's also a great project to add a little color to your garden or potted plants. Bug rocks make..
Polymer Clay Flower Tutorial - Make Bright Fantasy Flower Jewelry! A step-by-step tutorial for making colorful polymer clay fantasy flower jewelry. Perfect as inexpensive handmade gifts for women or girls. Wear these bright Spring or Summer flowers all year long! A new fold for flat unit origami fans. Rosettes create new looks for handmade cards. Several variations displayed for more fun with paper folding. 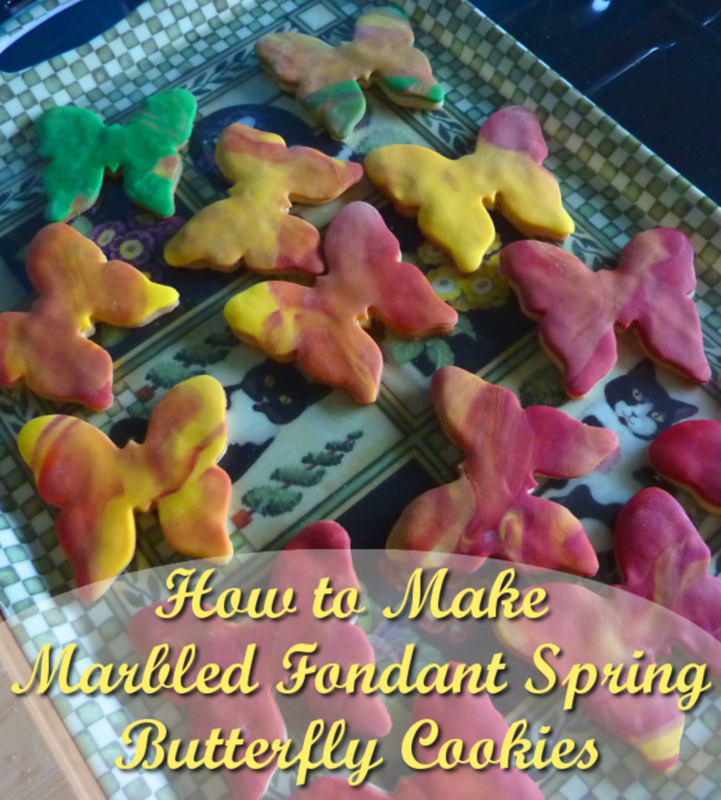 Marbled Iced Butterfly Cookies: It's Like Making Play Doh for Grown Ups! If you can make plain sugar cookies (if you can't then just buy a mix) then these are really so easy. Fondant icing is quick and fun to work with and adheres to cookies well using a little apricot preserve or a jelly jam. You roll it out and cut into it using a shaped cutter to get your butterfly shape - it's actually just like an edible play doh that grown ups can enjoy. You how to easily make a marbled effect in different colors for your cookie icing and it's very easy but looks so good that people will ask how you did it. It's a quick way of adding some beautiful color into the cookies and is a technique that looks good for Easter too. Just roll different colors of the fondant together to get different effects like marbling. Not just for this season but butterflies make great embellishments for many occasions with many people loving them as a theme for weddings, engagements, anniversaries and also sympathy cards in muted tones too. I mostly use them with handmade cards but they are perfect for invitations, scrapbook pages, stationery, gorgeous gifts and décor for the home. You can make your own embellishments from paper, card, stickers, rubber stamped designs, punches, die cuts, fabric and more. Although you can buy plenty of pre-made designs, it is really very satisfying to make your own instead. I like to add in my own antennae (stalks as I call them) for butterflies using colored craft or jewelry wires stuck to the back of a sticker, rubber stamped or punched design. I like the contrast between the shiny metal wire and paper. Sometimes I'll opt for a thin cord. It often adds in more interest than having no antennae or very fake looking ones on the embellishment. Enjoy 10 of my favorite butterfly themed crafts to make. Let's Make A Spring Decoration With Freeform Crochet Flowers! Have you always secretly longed to design your own crochet masterpiece? To toss the pattern books aside and let your imagination run wild? Here's your chance! There is only one rule: there are no rules! When we go to design a crochet pattern, we use. Need Some Themed Sentiments Too? 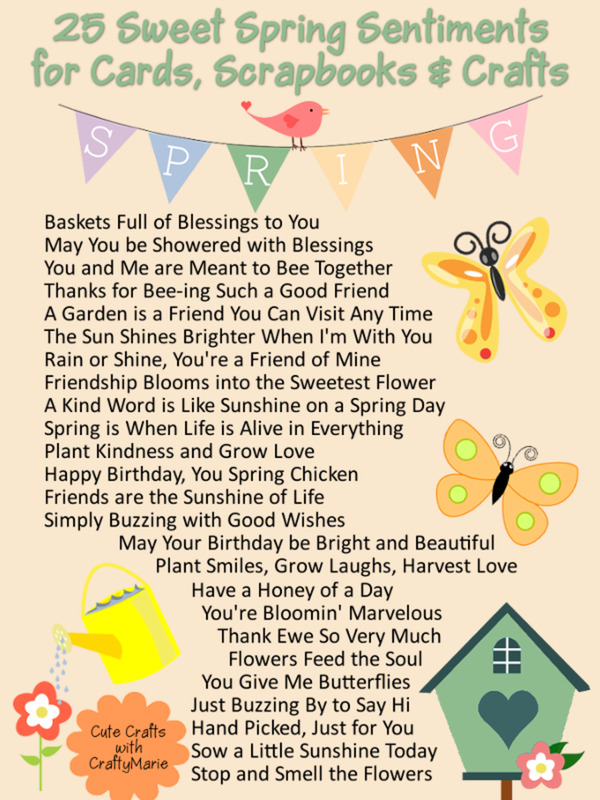 What Will You Make this Spring? I wish I had more time for crafting! Even though I do something most days, there never is enough time to try out all the fun projects that there are. Now and then I will make time to fit in something new because sometimes I hit on things that I really love - right now I've just picked up on crochet which I'm really enjoying. Doing something new can leave you feeling full of inspiration and with a new creative zest. I hope you've found some great new ideas to try today. Your Comments - What Type of Crafting Would You Like to Do This Spring? Have You Seen Any Here That You'd Enjoy? I like the flower embellishments, so I think I will attempt an idea making some Birthday, and Anniversary cards with them. Your paper crafts are truly beautiful. I have never been a fan of paper crafts although I love all kinds of paper but this one is worth a try. Wow! I'm very impressed by this beautiful collection of creative ideas. Love your ideas! A great selections of crafts and products. Alas, time is short so I stick mainly to recycling furniture. Lovely lens. With this much to do, I won't be bored for a while. These all look cute and fun. I'd love to give some of them a try! I enjoy working with flowers. You certainly have given us enough ideas to last all summer. Congratulations for making the front page. 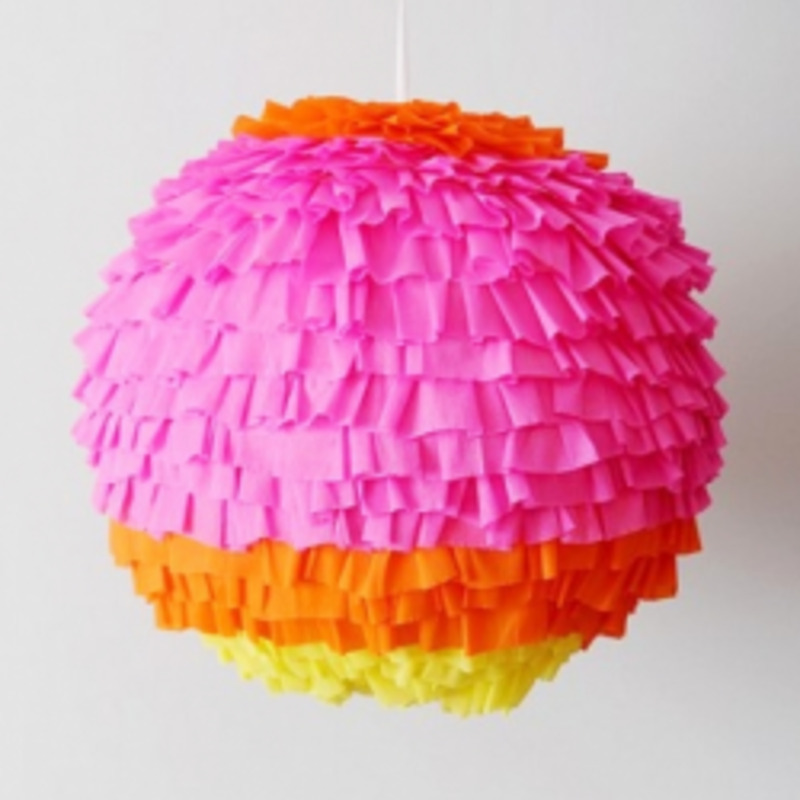 So many fun spring crafts here - I think I'd start with a few paper projects. @Susan Zutautas: Thank you, that makes me feel very happy! Very handy list for spring and summer coming up. Creating something no matter how small is a stress reliever for me. @paperfacets: It is for me too. No matter how stressful a day has been, crafting can make it all seem better :) Thank you for your visit. @QuizSquid: We've got the sun here today so it does feel like spring has sprung - at last! 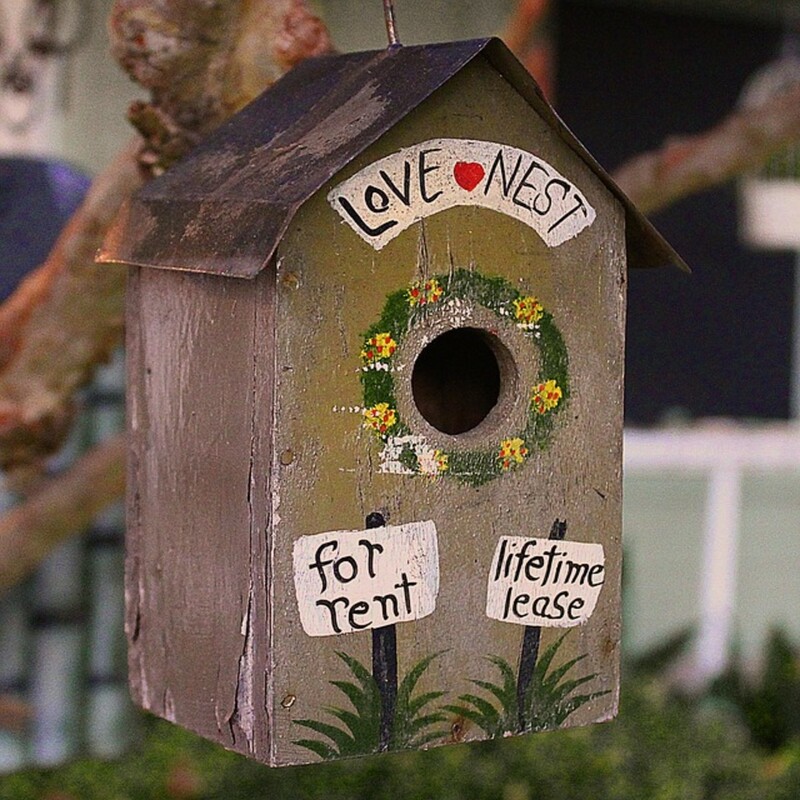 @TerriCarr: Outdoor crafts are great for spring - teacup birdfeeders are really sweet. @aka-rms: Thank you very much, Robin. @nicenet: Thank you, I really appreciate any shares. @Diana Wenzel: Yes I am an avid bird watcher so crafts featuring my feathered friends really appeal to me too. Thank you for your visit. I'd like to try and make the paper rose although I've tried it before and failed. Oh my goodness I love all of your crafts here. You are so crafty, Marie! I'm especially taken by the bird stamps; the old-fashioned look of the dark line art with a tint of colour is very appealing. Very creative lens. Delightful ideas. Thank you. Great lens! And timely, with spring just around the corner (although you wouldn't know it looking outside at our house today!). This is a pretty extensive list. 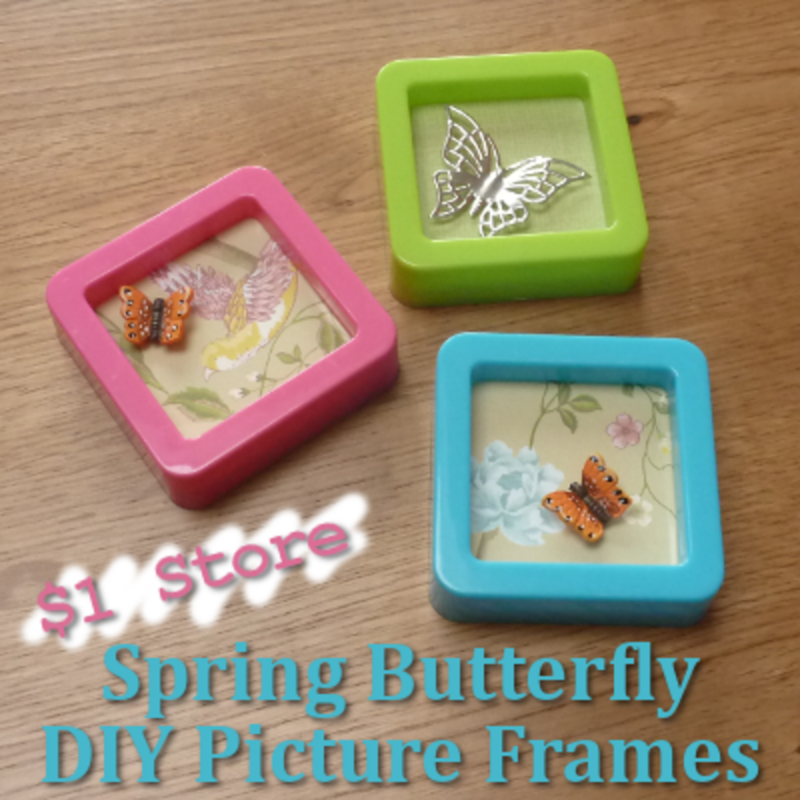 I do mostly scrapbooking and cross-stitching, but I really liked the $1 store butterfly frames. Very cute. I will continue to paint on rocks this Spring as I have enjoyed this hobby over the years and it is brought me a lot of joy. I love crafting too and never feel like I have enough time I so understand that. Thank you for sharing this lovely and inspirational lens with all of us! Spring was all over this lens, kinworm! Wow Beautiful ideas, love the flowers and butterfly crafts! Great ideas! Nice of you to showcase so many different ones too! I haven't made any craft projects in a really long time. This lens may inspire me to do something with my backyard. I am off to look at the teacup birdfeeder page. I do like all these crafts, they're so creative. I love your lens,it's cool. I'll share it on twitter. 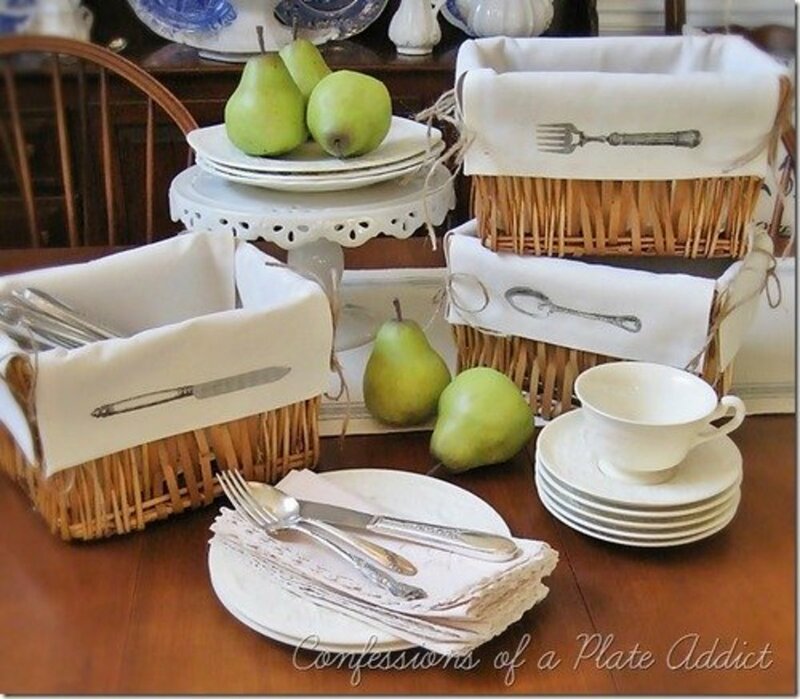 I love this collection of spring crafts. A really exceptional curation of talent. Those tea cup bird feeders truly appeal to me, as does the leaf imprinted bird bath. Of course, I would be happy making any of these spring projects (especially with birds as my muse).